The (mis)use of the Internet by students to buy term papers or plagiarize others’ writing is a major concern in Higher Education today. 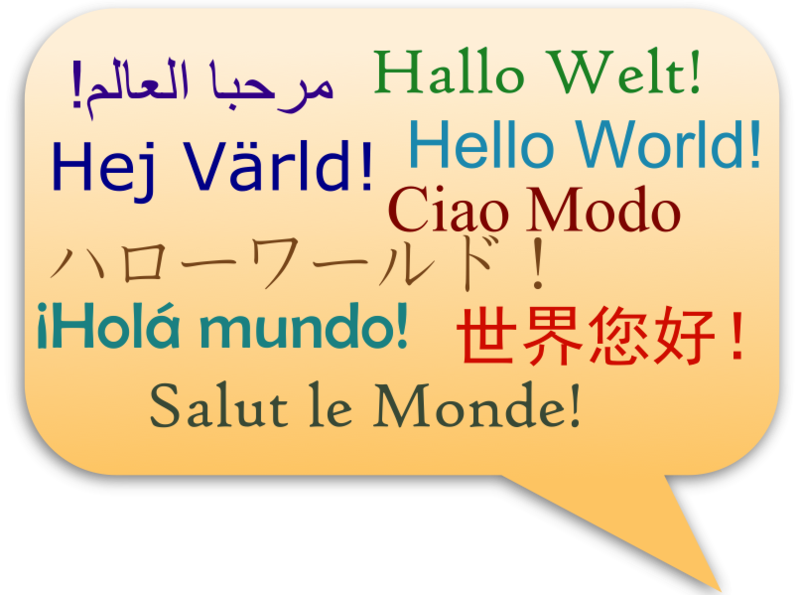 In the foreign language classroom, when it comes to the use of the Internet, the “elephant in the room” is the students’ use of websites like Google Translate or apps such as iTranslate to complete their work. 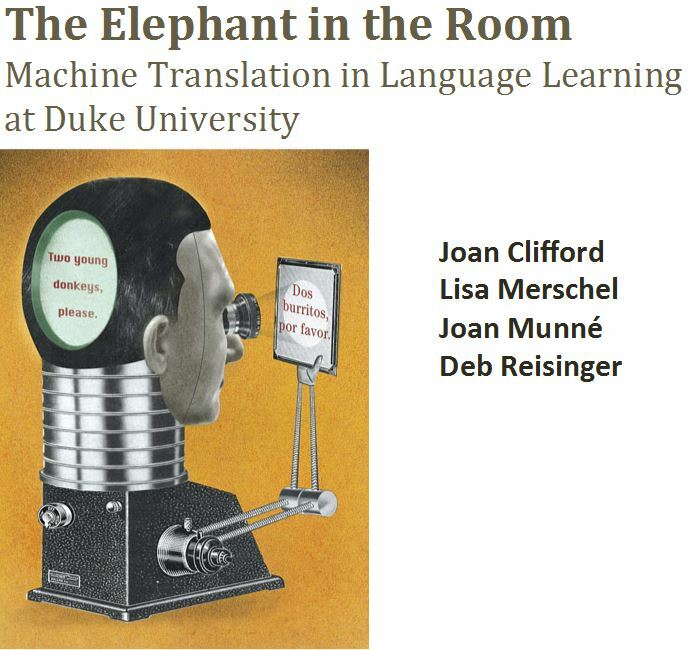 This semester, four lecturers in Romance Studies released their findings on the use of these kinds of translation tools by Duke students. The data was collected during the Spring 2012 semester from a survey given to 900 undergraduates enrolled in French, Italian, Portuguese, and Spanish language classes at Duke. This research, conducted by Lecturers Joan Clifford, Lisa Merschel, Joan Munné, and Deb Reisinger, addresses an emerging issue in the field of second language acquisition — the use of machine translation tools like Google Translate — and examines user trends. The research team was awarded a Thompson Writing Program grant and was supported by Lecturer in Writing, Jennifer Ahern-Dodson. With 71% of students reporting the use of Machine Translation (MT) tools often or sometimes in their language learning, there is a clear need to better understand how and when they are using them. The two most surprising responses were 1) 66% of students use MT as a dictionary and 2) 91% have detected an error in MT. Students explain error recognition through three lenses: personal knowledge of language, contradiction in textbook, and contradiction of what was learned in class or taught by the instructor. In addition to exploring the student use of MT, an additional survey was distributed to faculty to assess their perceptions of MT usage in language learning. Over 76% of faculty do not approve of the use of MT by their students. A clear majority of professors stated that MT was not useful to elementary level students but 30% reported that it was somewhat useful to advanced students. They did not perceive any threat to the second language teaching profession because of MT tools. In February 2013 the researchers presented their findings in a faculty forum on campus sponsored by the Romance Studies Department and the Center for Instructional Technology. See the full presentation of The Elephant in the Room to discover more about their research. A follow-up study in March 2013 takes this research further by investigating actual student practices in Google Translate through qualitative case studies. 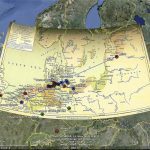 Researchers plan to disseminate findings in Fall 2013 and to perhaps expand the survey to include language students outside of the Romance Studies Department.